The Patriots conducted their 15th practice of training camp during the second of three joint practices with the Chicago Bears on Tuesday morning at the Gillette practice fields. It was a good competitive practice, with both teams having good and not-so-good moments. There was some more of the dustup nonsense that occurred yesterday and today Bryan Stork made the Walk o’ Shame back to the locker room after being ejected. Nate Ebner returned to the Patriots and was in shorts and his jersey. After the warmup session, he joined Ninkovich, Amendola, Mitchell, Foster, Brown, Williams, Jackson and Martin on the lower practice fields with members of the training staff to work on their conditioning. Julian Edelman worked on team drills for the first time since tweaking his foot on August 8 and was virtually impossible to stop. During the 1-on-1 drills, he was dominating against Tracy Porter and the second time, he juked the veteran corner so badly that Porter stopped running and threw up his hands in frustration before the ball was even thrown. During 7-on-7s and 11-on-11s, Edelman was thrown to nine times, five times from Brady, four from Garoppolo and the ball hit the ground once. And on that play, a corner route from Brady, he was open again but the pass was just a bit too long and it fell inches from his outstretched hands. He also took a shot after beating Porter on a crossing route. As he was nearing the sidelines, Harold Jones-Quartey lowered his shoulder and popped #11 with a good shot that flattened him. Aaron Dobson took immediate exception to that and Martellus Bennett joined him. Calmer heads prevailed but not for long. Bryan Stork was ejected for head-butting and then taking a wild swing at LB John Timu after a LeGarrette Blount run. Belichick wasted little time and that put a stop to the extra nonsense right there. On the flip side, Jeffery had a very impressive morning. He and Malcolm Butler shook hands on the field before practice, thereby putting an end to that stuff. The Patriots decided to work Butler on the opposite side of the field today. He gave Logan Ryan and Justin Coleman fits during the individual drills and then beat the veteran corner Ryan on a deep Jay Cutler pass down the sidelines. Kevin White had a good day going against Butler today. The Bears were conducting a strange WR drill on the sidelines during STs work. One coach would toss a ball well to the right or left of a Bears WR, who had his back turned. When the ball was in the air, they’d have to turn and react, all the while a second coach was tugging on their jerseys. Strange but effective. QB Tom Brady had a good day and was mixing it up to who he was throwing to. 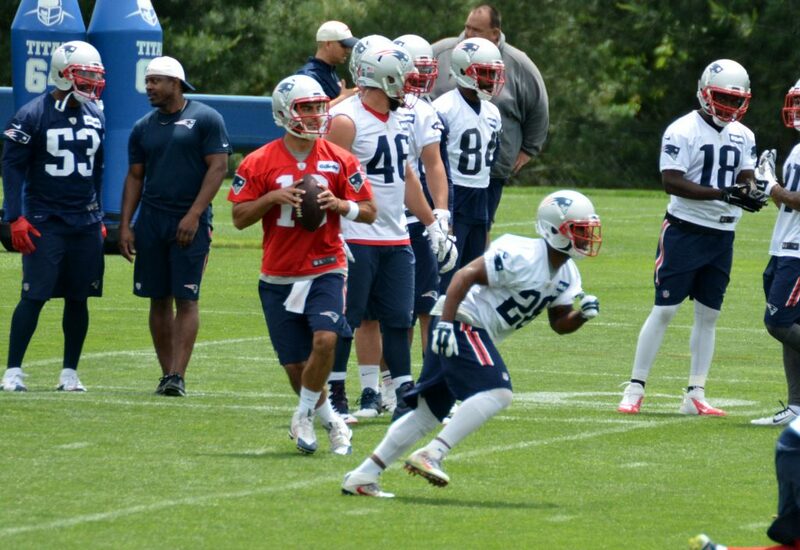 In his first work during 7s, he hit James Develin in the flat and Nate Washington on a comeback route. He then targeted Martellus Bennett on a crossing route, Edelman on a shallow crossing route, with an obvious mismatch of having a linebacker, Timu in coverage. Brady recognized the mismatch with Timu again and completed an easy slant to Edelman. Brady was 11-15 on the day and that is with his last three attempts going incomplete. The pass to Edelman that was just a hair too long in the end zone and had two passes defensed. One on a nice play by Kevin Peterson who deflected a pass away from Nate Washington. And the other a big hit by Sam Acho, where he clobbered Clay Harbor just as the ball arrived and it fell incomplete. Jimmy Garoppolo worked against the Bears first team defense today and struggled, going only 4 of 9 during 7s and 9-16 overall. He seemed to have a tough time, finding the windows to complete his passes pretty narrow. After a hot start to training camp, Aaron Dobson has cooled off. He was targeted only twice today. He caught an outlet pass from Brady for about a four-yard gain and was targeted once on a crossing route from Garoppolo that fell incomplete. After being the best player on the field for the Patriots defense yesterday, Justin Coleman was picked on today by Cutler and Brian Hoyer in both individual and team drills. He was targeted on successive plays by Hoyer, once a deep comeback to Cameron Meredith and on the next play with a bomb down the sideline to Joshua Bellamy who beat him cleanly. 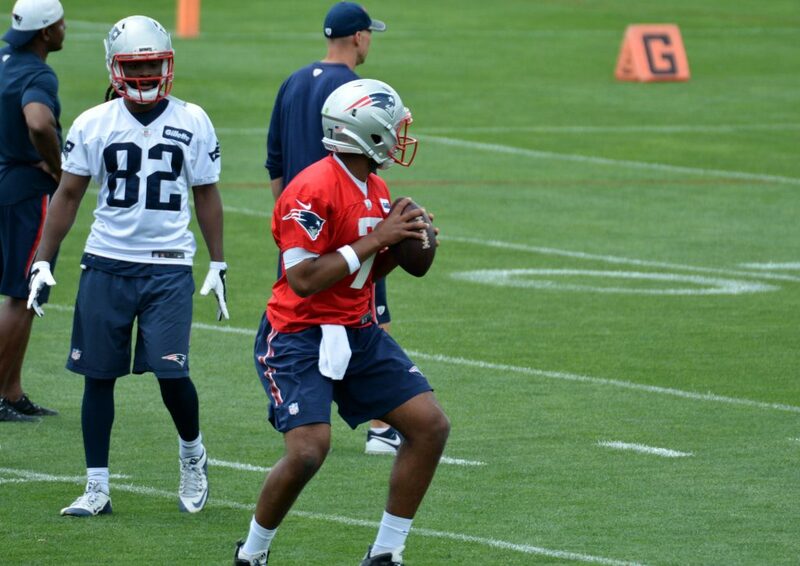 In the “opportunity” session with the third team offense, QB Jacoby Brissett had a very impressive outing. He went 8-9 and looked very sharp and decisive with the ball. The only incompletion was a nice defensive play by Timu who knocked the ball away from Tyler Gaffney. Jamie Collins and Chris Long would have had sacks in a game situation as they were able to bust in on Cutler with nice rush moves. Chris Harper and V’Angelo Bentley were taking punt return reps ahead of Cyrus Jones today. During one punt coverage drill, Matthew Slater beat the blockers down field, and although he tried to pull up at the end, buried WR Kieren Duncan with a big hit. But he got up and gave him a hug as an apology for not pulling up. Cre’Von LeBlanc spoke after practice about the competitiveness in the locker room. Tomorrow’s Patriots – Bears joint practice session is slated for 10:00 a.m. It is also the final public open practice of the season. 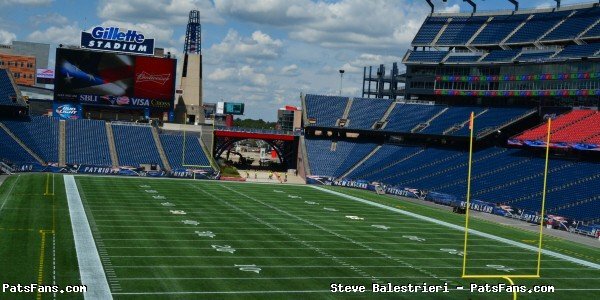 After the preseason game on Thursday, when the Patriots return to practice it will be only a regular season type schedule. The media will only be allowed to observe the first 15 minutes or so and then the practice will be closed. 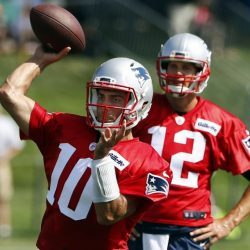 This entry was posted in Patriots Commentary, Patriots News and tagged 2016 Patriots Roster, 53 Man Roster Projection, Alshon Jeffery, Bill Belichick, Brian Hoyer, Chicago Bears, Danny Amendola, Dion Lewis, Dont'a Hightower, Jabaal Sheard, Jay Cutler, Jimmy Garoppolo, Joint Practices, Julian Edelman, LaGarrette Blount, Malcolm Butler, New England Patriots, Patriots, Patriots edge rushers, Rob Gronkowski, Rob Ninkovich, Tom Brady, Trey Flowers on August 16, 2016 by Steve Balestrieri. The Patriots and Saints had a good, spirited joint practice session on Tuesday morning under hot, sunny skies at Gillette Stadium. The Patriots, however, weren’t at their best offensively and were rather sloppy with dropped passes across the board by multiple players. Earlier in the morning prior to the workout, Bill Belichick stated that the team was excited for Sean Payton and the Saints to be here. He said the Pats have a great relationship with Payton and the Saints. Something Payton reiterated later after practice was over. Many of the Patriots coaches, including Bill Belichick, wore Nate Ebner’s rugby jersey in a nice show of support during practice. The US National Rugby team plays its first match later tonight. Notable absences: Nate Solder who’s been practicing every day was out. Sebastian Vollmer, Dion Lewis, Jonathan Cooper, Bryce Williams, Danny Amendola and Nate Ebner (Olympics), were also not spotted. 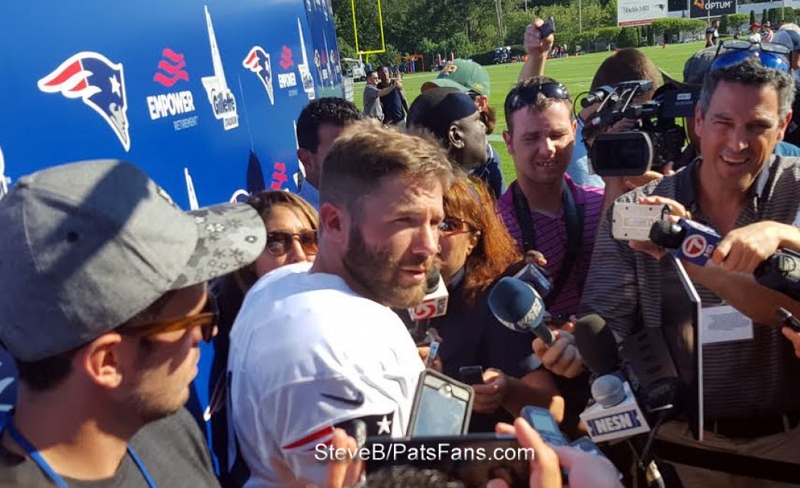 But more importantly, Julian Edelman left practice after clutching his left leg during 1-on-1 drills. He didn’t return, although the NFL Network stated that his injury “wasn’t serious”. But he could be seen throwing his helmet in frustration. Rob Ninkovich left early with what is being characterized as a “triceps” injury. He’s slated to have an MRI tomorrow. Not a Banner day for the offense: The Pats offense has had better days and it begins with Jimmy Garoppolo. The Pats QB suffered thru his third straight session of making poor decisions with the ball. He had some shaky moments in there, but those things are to be expected and is the reason they hold practice. He was also victimized by a series of drops, and the Patriots receivers across the board were having issues holding onto the football. With Solder and Vollmer out, the top offensive line consisted of LaAdrian Waddle at LT, Joe Thuney at LG, David Andrews at C, Josh Kline at RG and Marcus Cannon at RT. After going thru warmups and a period of positional drills, the teams got together about 40 minutes into practice with the WRs and DBs going against one another. The highlight of this segment was Julian Edelman putting an absolute filthy move on safety Vonn Bell. Edelman ran straight up the seam and faked to his right which Bell bit on and Edelman cut left leaving Bell far in his wake. Brady led off the segment at QB and was followed by Garoppolo. Meanwhile on the other side, Drew Brees was hooking up with WR Brandin Cooks who was battling hard with CB Malcolm Butler. Cooks was winning the majority of the battles but Butler did have a really nice pass breakup in the end zone. Logan Ryan had a nice pass breakup in the end zone. 7-7: This was followed by 7-on-7 drills with the Patriots offense on one field and the Saints on the other. Once again Brady took the initial reps followed by Garoppolo. Brady’s first pass, a screen to James White over the middle was nearly picked off by linebacker Stephone Anthony. Brady hit Devin Lucien deep in the end zone. He also connected with Chris Hogan, Nate Washington, and Clay Harbor. 11-on-11s Still Sloppy: Next came the 11-on-11s. Brady’s first pass was picked off this time, by Sheldon Rankins on a screen to White. He hit on only two of his first five passes. Garoppolo came on and hit Rob Gronkowski down the seam. Gronk was wide open but dropped the ball, one of his three drops on the day. Brees was doing a lot of check-downs to the backs Mark Ingram, Marcus Murphy and C.J. Spiller in his early work. Asked later if that was planned Saints coach Payton said no, that the Patriots were doing a great job of disrupting routes at the line of scrimmage. Later when Luke McCown came on for Brees, he was picked off by Duron Harmon. Not to be outdone, the Saints De’Vante Harris picked off Garoppolo during the two-minute drill. Jimmy G. was trying to hit Aaron Dobson on a crossing route and it was a pass he’d probably like to have back. Both Brady and Garoppolo suffered what would have been a couple of sacks in the goal line sequence and the two-minute drill. For the Patriots defense, Shea McClellin, Jamie Collins, and Trey Flowers who had arguably his best practice were bringing pressure from the edge. Flowers and Dont’a Hightower each got QB pressure/sacks twice. While the focus in the secondary was on the Cooks, Butler matchup, Cyrus Jones had a solid day. He recorded passes broken up in both individual 1-on-1 drills and during the 11s. Jones was also solid in the kick return game, fielding all of his punts cleanly and having a good return straight up the middle on one play, displaying good vision and a nice cut. Late in practice, the third QBs, Jacoby Brissett and Garrett Grayson each got to take some extended reps with the third team offenses. The teams return to action on Wednesday morning with the scheduled start time for practice being 9:15 a.m. 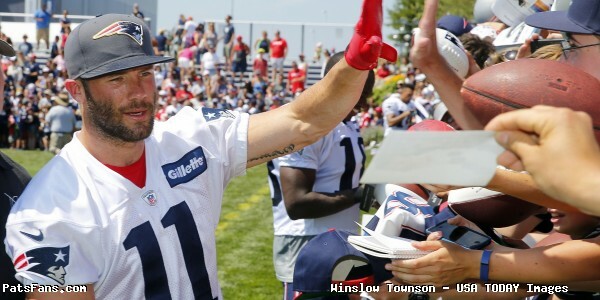 This entry was posted in Patriots Commentary, Patriots News and tagged 2016 Patriots Roster, Bill Belichick, Danny Amendola, Dion Lewis, Drew Brees, Jimmy Garoppolo, Joint Practices, Julian Edelman, LaGarrette Blount, New England Patriots, New Orleans Saints, NFL, Rob Gronkowski, Rob Ninkovich, Sean Payton, Tom Brady on August 9, 2016 by Steve Balestrieri. The Patriots will conduct joint practices with the New Orleans Saints on Tuesday and Wednesday, August 9-10 prior to their first preseason game on Thursday night. This will mark the fourth time that the Patriots and Saints will conduct joint practices, the third time in Foxboro. The Saints visited here back in 2010 and 2012 and the Patriots visited the New Orleans training camp facility in White Sulphur Springs, WV a year ago. It is interesting that in the constantly changing landscape of the NFL that the Patriots and Saints both have the same head coach/quarterback combination as they did back in the first joint practice in 2010. Sean Payton and Drew Brees remain with the Saints while Bill Belichick and Tom Brady are still working their magic in New England. The two sides are deep with respect for one another, a year Belichick spoke about the respect he has for Payton and the Saints staff. Unfamiliar Opponent and Chance for Added Competition: The Patriots traditionally under Belichick have loved these joint practices and they attempt to do a couple each season. And they work for the simplest of reasons. One is that after facing their teammates in training camp for a while now, this will give them the opportunity to face off against an unfamiliar opponent and changes things up a bit. Going against another team always stokes the competitive fires in players and for those players on the bubble at the back end of the roster, it gives them extra reps against an opponent that may help them win a roster spot. Where in a preseason game a certain player may only get a couple of snaps to show what he can do, in the joint practices they’ll get more opportunities to shine. The coaches also get to work on game specific situational football scenarios that they have recently installed into the offense/defense. It takes good communication between the head coaches and there has to be a level of trust there. Belichick spoke about that in his press conference on Sunday. And a final advantage to these practices is that you can always find a player that may not be a fit for the opponent that may fulfill a role with your team. That allows the coaches to evaluate the player and see more of him in a close, working situation. The Patriots saw that with the Saints Akiem Hicks who didn’t have a role in their defensive rebuild a year ago but was traded to the Patriots and played very well for the team in 2015. The Patriots also got to see ST/LB Ramon Humber last season, who they signed as a free agent this spring. But the list is long, others the Pats practiced against and then brought in includes but isn’t limited to, Frank Kearse, E.J. Biggers, Jonathan Casillas, and Aqib Talib. So the Patriots will be installing some new wrinkles in the playbook and will be using them against the Saints in the next few days. Belichick told the media, that they won’t be installing anything new per se, that they went over these things in the spring and now they’ll evaluate the players on how well they produce. “Well, we still have things we need to install. We still have a lot of situation work we need to cover,” he said. “I know we’ll be doing some of those things against New Orleans, so it’ll be good to have already put it in, to have run it, and then run it against them, rather than go out there and have that be the first time. A lot of times there is some ironing out to do. We’ll try to get some of that out of the way the first time or two and then try to run it competitively. If you’re planning on heading down to training camp for the two joint practices against the Saints, be advised plan on arriving early. Those workouts are traditionally very crowded and as always, it is first-come, first served. Both practices are scheduled to run from 9:15 a.m. to 11:45 a.m. daily. But check with Patriots.com for any updates. 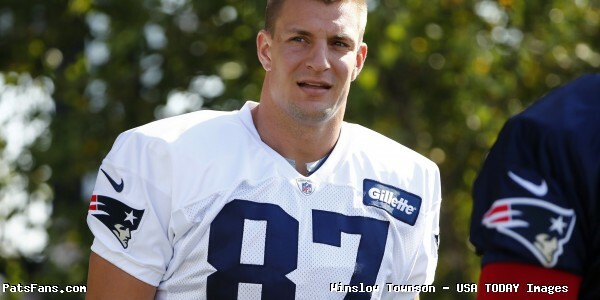 This entry was posted in Patriots Commentary, Patriots News and tagged 2016 Patriots Roster, Bill Belichick, Drew Brees, Joint Practices, Julian Edelman, LaGarrette Blount, Malcolm Butler, New England Patriots, New Orleans Saints, NFL, Patriots, Patriots edge rushers, Patriots Training Camp Photos, Rob Gronkowski, Sean Payton, Tom Brady on August 8, 2016 by Steve Balestrieri. Good morning, here are Sunday’s Patriots news 6-19 notes and what’s happening around the AFC East. The Patriots made the “official” announcement for training camp dates, (we’ve been doing a countdown for a month). But the bigger news was the set dates for the joint practices with the Saints and the Bears. 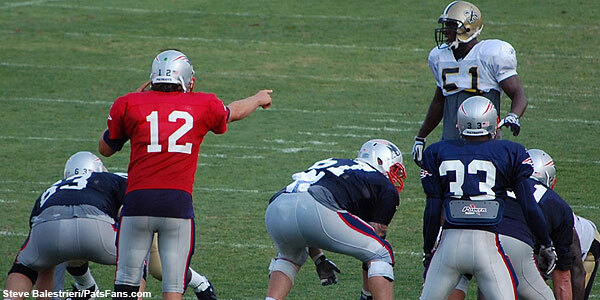 Prior to the two respective preseason games, the Patriots will have two practices with each of those teams. 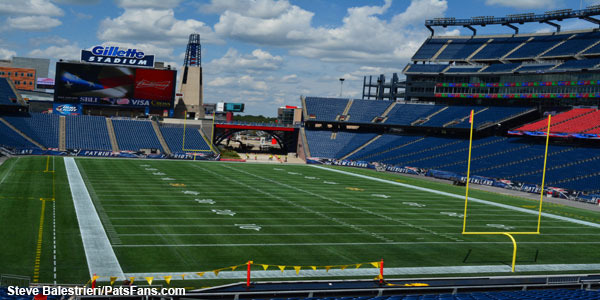 The Patriots and Saints will conduct joint practices on August 9-10 prior to the preseason game on August 11. The next week the Bears come to town and the teams will practice together August 15-16 prior to the preseason game on August 18. All of the practice sessions will be open to the public and a word to the wise…arrive early. The crowds are huge for these practices and if the joint practice with Philly two years ago is any indication, it will be crowded. The Patriots opened the stadium walkways so that fans could attend and watch the practices from high above. On Monday, Pats TE Rob Gronkowski was asked if there’s concern with the possibility of QB Jimmy Garoppolo starting the first four games of the 2016 season. With Tom Brady’s suspension still looming, if any of the assembled media was thinking he’d be concerned…think again. Robert Kraft is among the investors looking to buy the UFC. According to ESPN, there are two bids on the table to buy the UFC, supposedly for $4.1 billion dollars. Kraft is a minority investor in the WME-IME bid where the members of the group were asked to contribute between $25 – 50 million dollars each. Kraft’s investment would only be about 1 percent of the total but if the deal goes thru, UFC would then have a partner in the largest sport in the world. The UFC like the NFL shows no signs of slowing down with the fans and would be a very savvy investment. Mike Reiss of ESPN broke the news that after two years as an assistant the Patriots coaching staff, Mike Lombardi is leaving the team and his position immediately, although the departure is reported to be amicable. Lombardi, a good friend of Bill Belichick has been a confidante and aide to the coach, helping make personnel decisions as well as helping on the practice fields. He was in attendance during minicamp on the field a week ago. Reiss reports that Lombardi may be joining his friend Bill Simmons in a new HBO sports show. 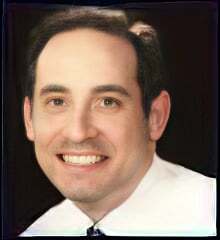 Lombardi has been a fixture in NFL circles, having worked in a variety of positions, including the GM of the Cleveland Browns in 2013. He’s also been in front of the cameras, being a regular on the NFL Network from 2008-2012. Patriots owner Robert Kraft will be recognized on July 12 as a Stuart Scott ENSPIRE award honoree at the ESPN 2nd annual Sports Humanitarian of the Year Awards. In honor of the late ESPN commentator Stuart Scott, this award celebrates someone who uses the power of sport to make a positive impact on society. Candidates can include anyone who works within the sporting world. The honorees will be awarded a $50,000 grant from ESPN to be used at the charity related to the award-winning humanitarian efforts. Base salaries are $450,000 in 2016, $580,038 in 2017, $735,076 in 2018, and $890,114 in 2019. He receives workout bonuses of $25,000 in 2017, 2018 and 2019. The total compensation of his deal is $3,410,832, while the total guarantee is $680,604 (which is his signing bonus). Brissett’s deal (at max value) is higher than all 17 of the 3rd Round draft picks selected prior to him (#91 overall). Many fans were openly wondering if this means that Jimmy G. is gone after the 2016 season. Not so fast. Much will depend on Garappolo’s play if he does play during the first four games. If Garoppolo plays and performs well, he could be traded to a QB needy team. But with Brady at age 39, the Patriots may be inclined to keep him for when the day finally comes that Brady retires. Here is a bit of strange news this week. New Bills assistant coach Ed Reed who was a long-time member of the Baltimore Ravens had some family opposition in joining Buffalo. His own 8-year old son Henry. It seems Henry is a Patriots fan. Say What? How could his son root for his dad’s biggest nemesis? Well as Reed says, it’s easy. 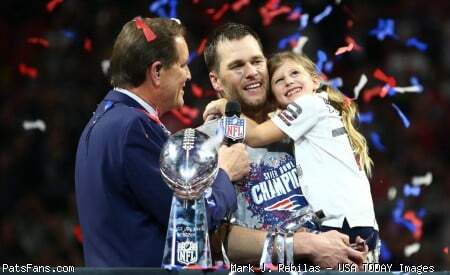 “His mom is from Boston, though she’s not a Patriots fan,” Reed said. “His grandmother lives up there, and the kid likes champions, man. What can I say? I grew up in New Orleans, I loved my home [town] team, but I was a San Francisco 49ers fan. I was a Joe Montana fan. So that’s just how it is. Things are looking up for the Dolphins as well as the city of Miami. The team will host the Super Bowl in 2020 and the mayor of Miami Gardens is breathing a sigh of relief. There were underlying tones that unless the state or the county helped pitch in with the upgrades for the Dolphins stadium, that the team may bolt the city. According to Mayor Oliver Gilbert, the threat was real. Now that the work is nearly complete, the Dolphins have a state-of-the-art facility that cost them nearly half a billion dollars for the renovations. The stadium will boast a 14-acre canopy that reportedly makes the experience much cooler for the fans during the hot weather games. Miami’s heat has always been part of their home field advantage, so there is some give and take. Todd Bowles finally had enough and told the NY media this week, that he’d no longer entertain questions about unsigned QB Ryan Fitzpatrick. The Jets signal caller in 2015 is out there in free agency still and no deal appears imminent. Bowles did say that if…a big if he returns, he will be the team’s starter. Likewise, the team has no deal on the radar for their best defensive player, Muhammad Wilkerson. Wilkerson, 26, has been franchised ($15.7 million dollars in 2016) and is looking for a long-term deal. With the recent contract for Philadelphia’s Fletcher Cox, Wilkerson is likely to be looking for similar cash. And he’d be justified. Since 2012, Wilkerson has had more sacks, 33.5 – 22.0, more forced fumbles, 8 – 5, and more batted passes, 14 – 5. Wilkerson has been a durable, productive player and seems to be digging in his heels. Stay tuned. This didn’t take long. Rex Ryan never one to back away from bombastic quotes came up with another doozy this week. One thing’s for certain, the Bills with Ryan at the helm will never be boring and he’s putting the heat and the bulls eye squarely on his own shoulders. With rumors that both he and GM Doug Whalley are on the hot seat, he’s embracing the challenge. Training camp practices for the Bills begin on July 30. This entry was posted in Patriots Commentary, Patriots News and tagged 2016 NFL Draft, 2016 Patriots Roster, 53 Man Roster Projection, Bill Belichick, Buffalo Bills, Chicago Bears, Danny Amendola, Dion Lewis, Ed Reed, Jacoby Brissett, Jimmy Garoppolo, Joint Practices, Julian Edelman, Miami Dolphins, New England Patriots, New Orleans Saints, New York Jets, Rex Ryan, Rob Gronkowski, Robert Kraft, Tom Brady on June 19, 2016 by Steve Balestrieri. 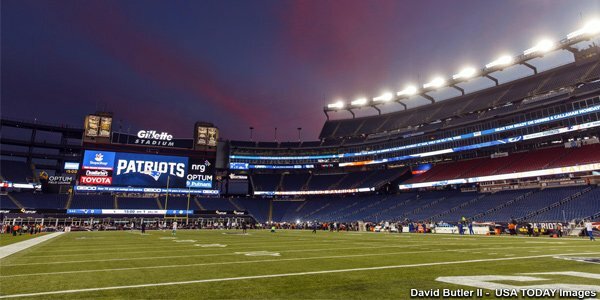 The Patriots are on their way down to West Virginia to conduct two joint practices with the New Orleans Saints on Wednesday and Thursday prior to their preseason game. The Saints have been a frequent partner of the Patriots in these joint ventures, as New Orleans coach Sean Payton like Bill Belichick, is a firm believer in the value of joint practices. The respect that each coach has for each other is evident in that the teams are looking to improve and will help each other help themselves for the next two days. We’ll get more to that later. But the fact that the teams have worked closely many times with very few issues is a testament to the respect between the two teams unlike the fiasco that Houston had to put up with versus the Redskins last week. Some coaches, like Packers coach Mike McCarthy isn’t a believer in joint practices, preferring to work on his own with his own team. It was thought that the Patriots attempted to work jointly with Green Bay prior to the preseason game but were turned down. We’re totally on-board with the joint practice venture. Beyond the fact that on a given afternoon we can watch Tom Brady and Drew Brees do their thing and then walk off to the same sideline and talk between drills is really cool, it just makes sense from a football perspective. Here’s a few reasons why joint practices work. Situational Football: One of the reasons the Patriots (and Saints), have excelled in certain situations year after year isn’t magic (or some nefarious acts as some hysterical dweebs will have you believe), but the simple fact that they PRACTICE them. Why is no one better than Belichick and the Patriots in situational football? Practice, practice and more practice. And joint practices are the best place to drive the point home. How many 3rd down and 16s will you face from the opponent 35 yard line in a preseason game? One? None? Well let’s do that and if we don’t like the way it looked, let’s run it again and again. And again if necessary until we get it right. The list could go on and on but the best way to be productive in any situation is to have experience in dealing with it. Veterans Need Work: Last week against the Packers, Tom Brady played a total of seven snaps, Malcolm Butler the same and Rob Gronkowski? Zero. Think how many snaps each will get against a quality opponent in the next two days of joint practice. This work in a controlled environment isn’t the same as a game but is still invaluable in preparing the veterans to be ready to go once the games become real on Week 1 of the NFL season. While Brady will get more reps against the Saints in the preseason game than he did last week, he still won’t play much past the first half. But he and Jimmy Garoppolo will each get plenty of reps in the practices. Different Looks by the Opposition: After facing your own teammates for the past two weeks in practice, the joint practice venture will allow the players, especially the younger ones the chance to react to different looks and schemes that are the staple of your opponent. It is some great experience to go against a different, spirited opponent and breaks the monotony of training camp practices that all seem to run into one another. It also gives coaches the ability to give longer looks at some of the players on the bubble at an opponent where in a preseason game, that player may only get a handful of snaps. Since the new CBA of 2011 did away with the old two-a-day practices, coaches like Bill Belichick are always looking for ways to introduce physicality and hitting into practice during training camp and joint practices are the wave of the future. Once again Belichick was ahead of the curve on this one and the Patriots will no doubt continue to try to use the joint practices as often as they can during the preseason. 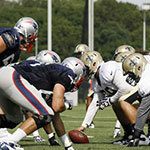 This entry was posted in Patriots Commentary, Patriots News and tagged 2015 NFL Preseason, 2015 Patriots Training Camp, 53 Man Roster Projection, Bill Belichick, Drew Brees, Jimmy Garoppolo, Joint Practices, New England Patriots, New Orleans Saints, NFL, Patriots, Rob Gronkowski, Rob Ninkovich, Sean Payton, Tom Brady on August 19, 2015 by Steve Balestrieri. As the Patriots get set to hold joint practices with the New Orleans Saints later this week, the goal is to hopefully provide both sides with opportunities to work on situational football and create certain situations that might not necessarily arise during their exhibition game. The last time these two teams got together for these was back in 2012, and Patriots head coach Bill Belichick and Saints coach Sean Peyton were able to have productive sessions and when it was over, both felt pretty good about what they accomplished. Payton spoke to the media on Sunday and said he has a lot of respect for the Patriots, and he’s looking forward to having his team work with them this week. One of the things that Payton was asked about were some of the things he admired about how Belichick runs the team, and one of the things he pointed out was how they’ve dealt with personnel decisions. The two teams will practice on Wednesday and Thursday of this week in anticipation of Saturday night’s game, with Payton pointing out that he’s taken some tips on how Belichick runs practices, and he’s always had great communication with him. According to the the Saints official site, both joint practices are set for 9:30am at The Greenbrier in White Sulphur Springs, W.Va. This entry was posted in Patriots Commentary, Patriots News and tagged 2015, Bill Belichick, Joint Practices, Patriots, Saints, Sean Payton on August 17, 2015 by Ian Logue.